Christmas is an immensely popular holiday all over the world that brings family and friends together to celebrate the festive season. If you are planning a trip, then you definitely want to find a magical destination that will capture the essence of Christmas. Some countries, as you will soon discover, do not skimp on the pomp and celebrations attached to the December festivities. Below are the top six Christmas destinations around the world. Also known as the Big Apple, New York City is an obvious choice for a Christmas holiday destination for the simple reason that the city really does capture the essence of a traditional Christmas. 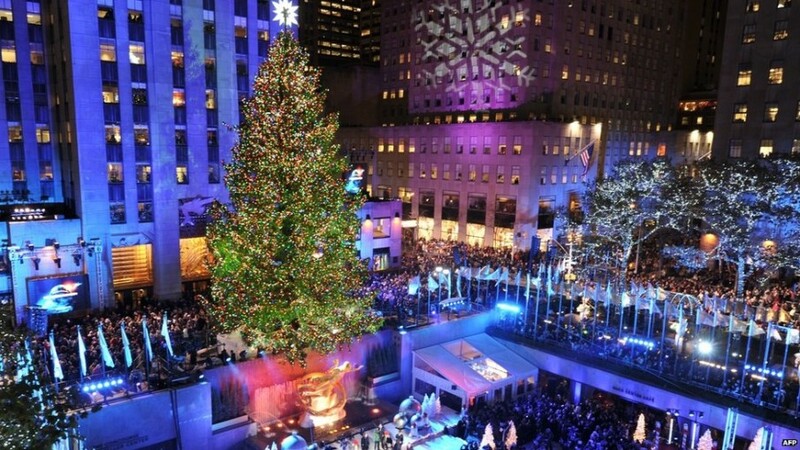 Christmas in movies and television series have been depicted throughout time with the city of New York being portrayed as the perfect destination. None of the Hollywood glitz and glamour is lost in this part of the world. The awe-striking world’s tallest Christmas tree at Rockefeller Center is capable of warming even the toughest cynic’s heart. An ice-skating rink also adds much excitement and Christmas cheer. The New York Ballet’s “The Nutcracker” is the proverbial cherry on top. It depicts everything you have known and heard about the NYC Christmas experience. Switzerland is breathtaking any time of year, but this destination offers the chance at a fairytale Christmas. With snow cobbled streets and mountains, Zürich transforms into the perfect holiday setting every time December comes around. The chocolate-box attractions definitely add much needed holiday cheer and so do the many Christmas markets where you can buy a variety of foods and merchandise. A shopping spree at the train station’s Christmas market is the perfect place for the shopaholics to do a little extra (or last-minute) Christmas shopping. For tourists, a Christmas-themed guided tour through the city is a must. It all cumulates at the Werdmühleplatz where the local children sing Christmas carols on a triangular stage surrounded by fairy lights and greenery. This, no doubt, is an unforgettable experience worthy of mention. Christmas is at the spiritual heart of Catholicism, and there is no better place to see this in action than at the Midnight Mass at the Vatican. 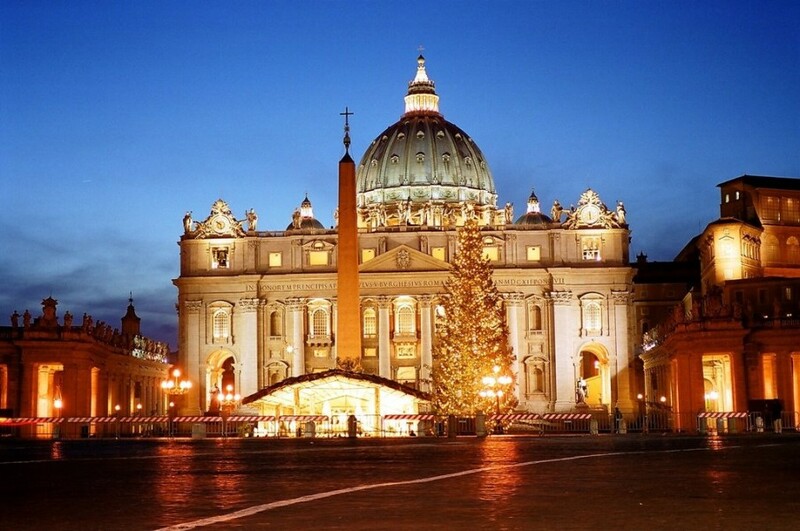 The Vatican is enchanting any time you visit, but Christmas takes the Eternal City to another level of enchantment. The sites to visit during this time of year include the Church of Santa Maria in Aracoeli, the Piazza Navona and the world famous St. Peter’s Square. These sites are filled with nativity scenes like you’d never see anywhere else in the world. Roasted chestnuts are a particular favorite in this part of the world during this festive season. However, the best part of visiting the Vatican is the Midnight Mass in St Peter’s Basilica on Christmas Eve. It’s unforgettable, even if you’re not Catholic. There is also another mass at noon on Christmas Day that is equally awe-inspiring and unforgettable. It is often said that there is no trip to Australia that doesn’t include a visit to the Sydney Harbor. The Sydney Harbor Bridge is a huge tourist attraction, and that alone is enough to make anyone want to visit the area for their Christmas holiday. Take it a notch higher by using yacht charter services for any kind of travelling group. 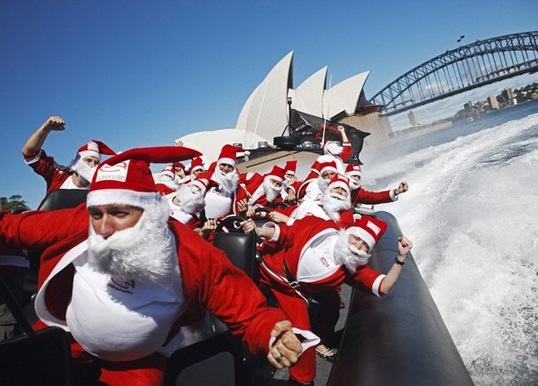 Whether you are travelling with a small family or with a group of friends, Christmas day on the Sydney Harbor with your very own boat will be a day to remember. There are plenty of vessels to accommodate any kind of requirements, needs, or budget, so you are sure to find one that will work for you. There is nothing like a nice sunny day out in the water while celebrating the holiday surrounded by the people you love. If you really want to get a taste of a ‘real’ Christmas, Reykjavik is the place to be. There are a total of 13 Santas; each with their own defining traits and characteristics, such as the door slammer and the spoon licker. Each one has a day between December 12 and Christmas Eve to visit the town. 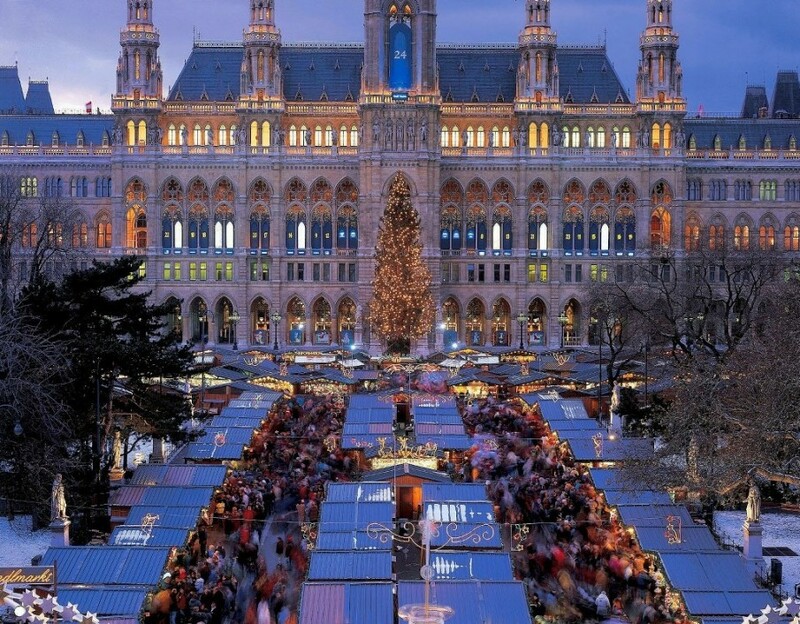 Vienna is home to some of the most spectacular Christmas markets which open in mid-November. This romantic city is especially great for young couples looking to enjoy some time alone away from home. It is impossible not to be charmed by the Viennese Christmas traditions that date as far back as the Middle Ages. Some of the Christmas treats that you can expect to indulge in here include Lebkuchen (resembles gingerbread), maroni (sweet chestnuts), bratwurst (fried sausages), waffeln (waffles) and glühwein (mulled wine). Austria is no doubt a magical Christmas destination with plenty of lifetime memories to create. If you are planning a trip abroad alone, with family, or friends, any one of these destinations is sure to satisfy all your travelling needs. Each one is unique, and each as good as the last that will make it a memorable Christmas holiday.